After launching a successful skin care company, learn about the local lady on a mission to make skin healthy and glowing from the inside out. 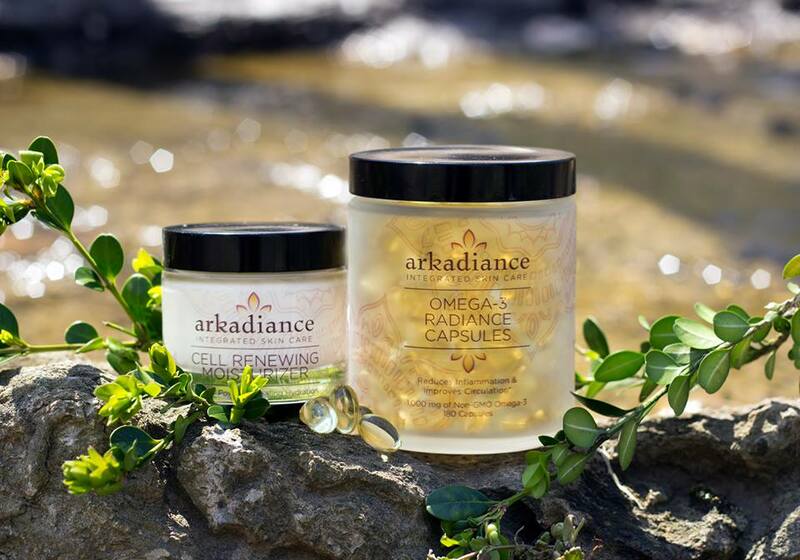 Cincy Chic: For our readers who don’t know, what is Arkadiance Integrated Skin Care? Ami Kulkarni, Founder of Arkadiance Integrated Skin Care: Arkadiance is a wellness-based skin care line which focuses on healing from the inside to reveal outer radiance. The products are derived from natural ingredients with high impact formulas. The brand launched in 2016 with a range of natural products — some used internally and others externally — such as a facial cleanser, face cream, Omega 3 capsules, teas and more with the idea of creating health and beauty from the inside out. Cincy Chic: What’s new with Arkadiance since we last spoke? Do you have any new products? Kulkarni: YES! We’ve started bundling our best sellers with a 15-20% discount when bought together. Whether you are looking for hydration, purification, or immunity boosting – we’ve got a bundle that will deliver noticeable results based on your skin needs. Cincy Chic: Do you have any special promotions going on right now that readers can take advantage of? Kulkarni: We’re currently running a Galentine’s Giveaway for our Transformation Duo and we always offer 10% off the first purchase with the code “New10” for new clients. Cincy Chic: What is the brand looking forward to most in 2019? Kulkarni: We are thrilled to be reaching more clients and making it easier to understand the science behind products. Our followers can look forward to more education about why natural, holistic products can be transforming to their mental and physical health. Cincy Chic: What makes Arkadiance unique? I believe in Use Less, Do More. The line is incredibly simple and we have no skin types. Less products, less steps, no jargon. My clients are change-agents who don’t have time for complicated routines that pile on unneeded products. I only make a product if it can be significantly better than what is on the market today. That’s why we don’t have a scrub – there are plenty of great scrubs available. I also don’t make a Vitamin D capsule or a B-complex because what is available today is pretty darn good. However my 3 step skin care and the 3 core supplements are each significantly superior to any competitors in benefits delivered and the usage experience. I built the brand around being sustainable and natural first. Our ingredients are renewable and following sustainable farming practices. Every product is recyclable we use mostly glass and aluminum, not plastic. We do not test on animals and are ultra-natural, being 93% plant-based in our skin care products. Kulkarni: The best way to stay connected is to join our email newsletter at www.arkadiance.com for bi-weekly natural healing newsletters and promotions and follow us on Instagram and Facebook. I would be glad to answer specific skin and health questions at ami@arkadiance.com. I also refer my clients to local health care experts like Dr. Kara Shah (Kenwood Dermatology) or Doctor of Naturopathy, Sharmilee Jayachandran, ND to make sure questions are answered.